Your wedding cake is a special part of your wedding ritual and reflects your taste; therefore, a wedding cake is a very special order, customized to suit your needs, desires, location and number of guests. 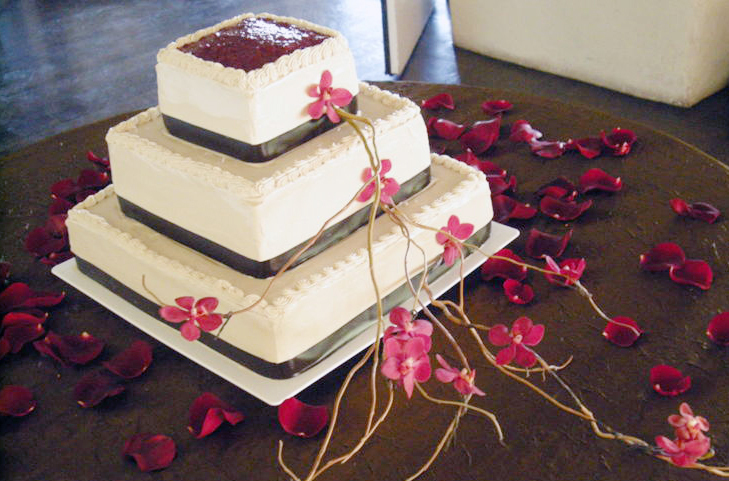 The cake pictured here was for a wedding in Riverside in July 2008. A classic three-tiered cake, it is gluten-free chocolate, and triple-frosted: first in chocolate frosting, then vanilla, then decorated with chocolate frosting designs. Fresh red roses complete the look. A recent testimonial from a client in Southern California!